Karunya Institute of Technology and Sciences is committed to providing a safe, fair and harmonious learning and working environment. Grievance Redressal Cell was set up in accordance with the University Grants Commission regulations 2012 (The Gazette of India, March 23-29, 2013), and Article XXV of the constitution/MOA of Karunya Institute of Technology and Sciences for handling day-to-day grievances related to students, parents, staff members and other stakeholders. 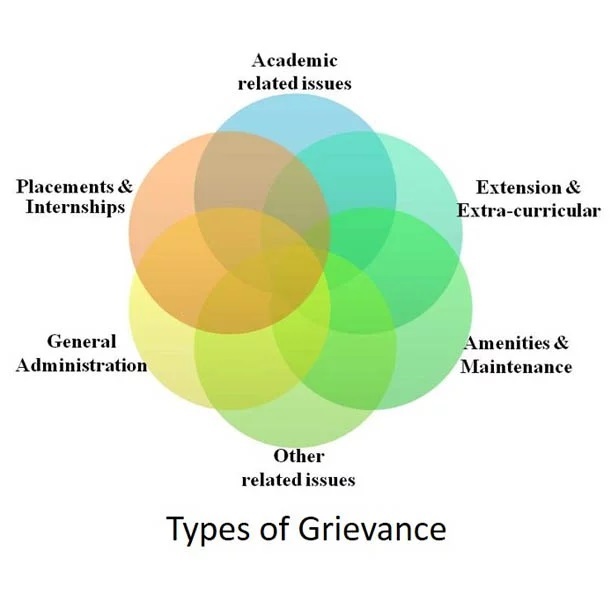 Grievance Redressal Cell facilitates the resolution of grievances in a fair and impartial manner involving the respective School/Dept./Office (dealing with the substantive function connected with the grievance), maintaining necessary confidentiality, as the case may be. 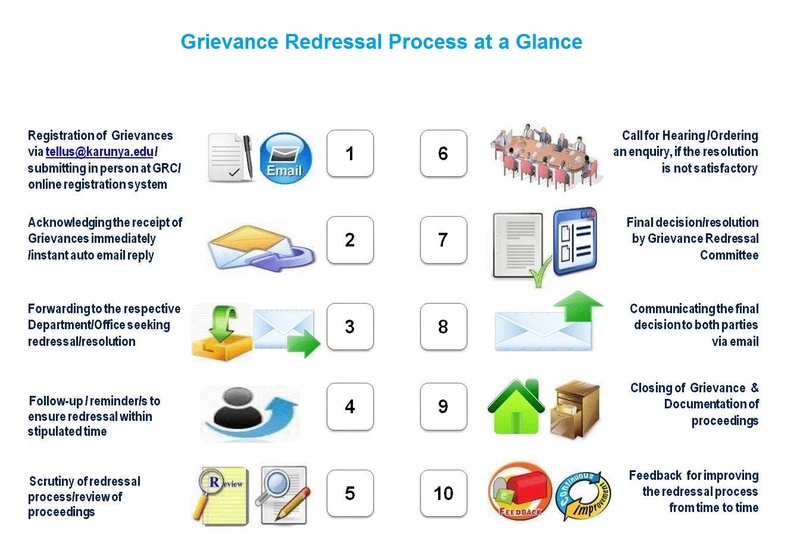 Any stakeholder with a genuine grievance may approach Grievance Redressal Cell to submit his/her grievance in writing. The Grievance may also be submitted in electronic form – through Email on “tellus@karunya.edu“ or Online Registration System.